Are you looking for quality Houston TX refrigerator repair service? 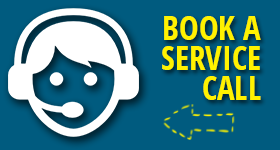 Call and speak to one of our friendly staff. We’ll send a certified appliance pro out to your home in a hurry. When we say same day repair service, we mean it. Our company is careful to hand-pick the technicians we use. Each tech must earn our confidence. Our customers are too important to us. We won’t send just anyone to provide service. You can count on us to send a hard-working fridge technician to your rescue. Contact us today for service you can depend on. Get in touch with us for speedy refrigerator repair Houston service. A skilled appliance specialist will be directed to your location. They will bring the right tools and plenty of replacement parts. If they need to replace a part, it will be done in a jiffy. There cannot be any delay when it comes to a fridge repair service. When a fridge stops working, the temperature starts rising. A rising temperature is not good for your food. Unless, of course, you are cooking it. You need an experienced refrigerator technician to inspect your unit. It won’t take them long to figure out the problem. It could be a thermostat. This part is used to regulate the temperature. The problem could be in a faulty switch or a bad motor. There are quite a few things that could prevent your appliance from working. Let us send a pro to check it out. You will receive certified fridge service from a skilled appliance expert. Your fridge will be working much better when the work is done. 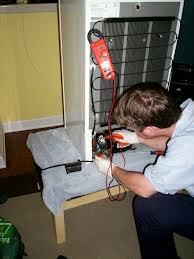 At Appliance Repair Experts Houston, we hire trained pros to service your fridge. Our company has always set the bar high for technicians. These techs know fridges inside and out. They will work on any brand, any make or any model. You can call about French door or side by side fridges. You name it and it can be serviced efficiently. You want quality refrigerator service. Turn to the company with a history of ensuring that type of service. Give us a call today. The fridge is one of the most important appliances in the home. Many would say it is the hardest working one. Make sure you receive the best service for your appliance. Make us your first choice for refrigerator repair in Houston, Texas.